With three (count 'em) days off, London is spoilt for choice this weekend when it comes to Clubland treats. With so much on offer, here are our picks for every night this weekend. The person who goes to all wins... a hangover? Kicking things off in style is Friday's House of Disco in Shoreditch, whose big draw is a live set from the awesome Tiger & Woods. The mysterious duo of Larry Tiger and David Woods (possibly not their real names) made 2011 their own with an incredible run of singles, a fantastic debut on Running Back and an album “Wiki + Leaks” given away for the hell of it. The duo specialize in creating edits — sampling tiny sections of oft obscure soul, funk and disco tracks and building these basic elements into irresistible house grooves. The duo bring to mind Daft Punk, not in their sound so much as their innate grasp of dancefloor dynamics - replicating the best moments from their favourite songs to create music unparalleled in its joyfulness. Things get a bit heavier on Saturday with Melt Music’s bill of house/techno heavyweights Nick Hoppner & Tama Sumo. With his monthly residence at Panorama Bar and his running of the club’s in-house label Ostgun Ton, Nick Hoppner is very much the face of Berlin’s Berghain club – one of the most famous clubs in the world and a renowned Mecca for techno devotees. His set typifies the sound that rocks Berlin every weekend, a tough mechanical techno with minimal splashes of melody — specifically primed for maximum dance-floor impact. 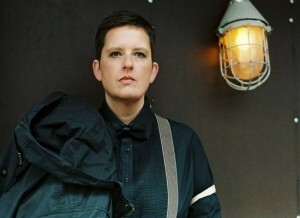 Joining him is fellow Berghain resident Tamo Sumo, whose great Panorama Bar mix CD showcased the unique touches of house warmth she brings to her live sets. Though the door staff hopefully won’t be as terrifying, expect Melt’s event to bring some of the magic of a long night out in Kreuzberg. Sunday night winds things down a notch with party perfectionists Wolf + Lamb, who will be throwing an all-day "experience" for those still on their feet. While notionally a duo of Zev Eisenberg & Gadi Mizrahi, Wolf + Lamb is an umbrella term for a range of ventures – a production team, a record label and a community of like minded souls who like their house music slowed down to a sticky n’ sensual groove. Their approach while playing live is as laid back as their music, an unpretentious good times party that include chats with the crowd, club rap bangers and impromptu stage invasions. With Love Fever’s event going on all day and a barbecue on hand, expect a perfect end to the weekend whatever the weather. Friday: House of Disco presents: Tiger & Woods (Live), Wolf Music, Rayko at Basing House, Shoreditch. Tickets are available here. Saturday: Melt Music 5 with Nick Hoppner & Tama Sumo at Secret Shoreditch Warehouse. Tickets are available here. Sunday: Love Fever with Wolf + Lamb at Oval Space, Bethnal Green. Tickets are available here. Tama Sumo image used with permission from the artist.